Okay, sorry about that title. I didn't know what else to call it. So there's this site, Christianaudio.com, that each month gives away a free audiobook. Some months they're good, other months, they're okay. 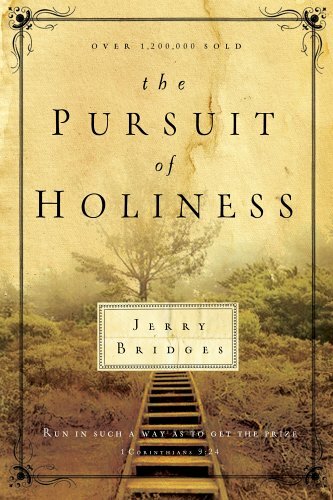 I've downloaded a few, but this month they're giving away, Pursuit of Holiness, by Jerry Bridges. I haven't read this book, but I've read other stuff by Jerry Bridges and I've enjoyed everything I've read of his, so I'm going to recommend it for my Christian readers without even reading it myself yet. I have about a 30 minute commute to work, so I frequently listen to podcasts and books in the car. Although to be honest, I don't usually listen to books because it takes longer for me to listen to books than to read them. Judging by the description, this is probably more for someone who is already a Christian than someone who is interested in knowing more about Christianity. If you're interested, you can download it HERE. Just click on the "Free Download" link. You'll need to set up a free user account first, but no credit card is necessary. If you're not interested in this one, check back next month as I'm sure they'll have another title. Oh, and by the way, they'll give you a couple options for audio formats. M4B is primarily used with Apple products (iPod, iPhone, etc. ), MP3 should work on most other devices (including Apple products too). The benefit to M4B format is that it can bookmark chapters while listening. I read this one back in the 90s, and actually picked it up again last month. Good stuff! !